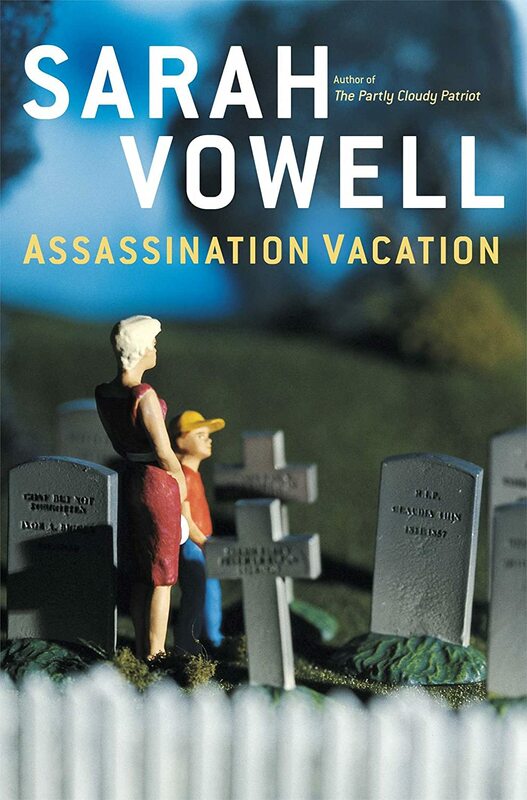 Assassination Vacation is another one of those jewels I picked up on a Kindle Daily Deal. I jumped on the offer because I so enjoyed Unfamiliar Fishes a couple of years ago. I think I enjoyed both of Sarah Vowell's books because I think she might be my twin. My much younger, quite a bit funnier twin that stops to read all the historical markers wherever she goes like me. She's the one who does all the cool things I always wanted to do like write great non-fiction books that bring to light details about historic events that you might not even know about and she gets to travel to cool places to do it. And she was born in Oklahoma! Accompanying her on her jaunts through museums and graveyards are her sister and especially lovable nephew. Her stories about them bring a personal touch to the book as do her stories about her family history. The way she weaves the stories of her travels, her family, her politics, and the Presidents makes for a cant-put-it-down book, evidenced by the fact that I finished it in 5 days--way shorter than my usual several months average. If you're looking to learn interesting stuff told in a funny way, you need to read this book. Highly recommended!